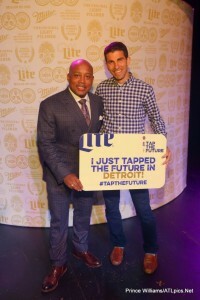 Miller Lite Tap the Future completed its third year by crowning Brian Hill as the 2015 grand prize winner. Hill is the owner of Edovo, a business that rents tablets and software to correctional institutions across the country as a way to encourage inmates to spend time engaged with educational and vocational programming. Hill’s drive to change the conversation around inmates and education helped him beat out thousands of applicants to win the grand prize of $200,000. In two weeks, Miller Lite Tap the Future begins accepting submissions for the 2016 competition. Entrepreneurs can enter for a chance to take their business to the next level and win a portion of a $300,000 prize pool. What does it take to win Tap the Future? Hill shared a couple of tips he learned throughout the competition. 1) When pitching show excitement, confidence and be knowledgeable. You want to be the person that stands out above the rest. 2) Stay focused. Practice explaining your business to someone in less than 30 seconds. It’s all about how you convey your message. 3) Keep an open mind. It is important to be receptive of the feedback you get throughout the program. Tracy Asencio is an assistant account executive at FCG.